BRIPPA holds a one-day annual meeting, usually in the Spring. The meeting incorporates the business meeting of the Paediatric and Perinatal pathology EQA scheme, the Annual General Meeting and the Annual Scientific meeting. Welcome to the British and Irish Paediatric Pathology Association (BRIPPA). BRIPPA is a professional association of medical doctors who specialise in Paediatric and Perinatal Pathology - the diagnostic pathology of the the fetus, placenta, infant and child. The Association has around 88 members, most of whom are currently in practice in public hospitals in the UK and Ireland. 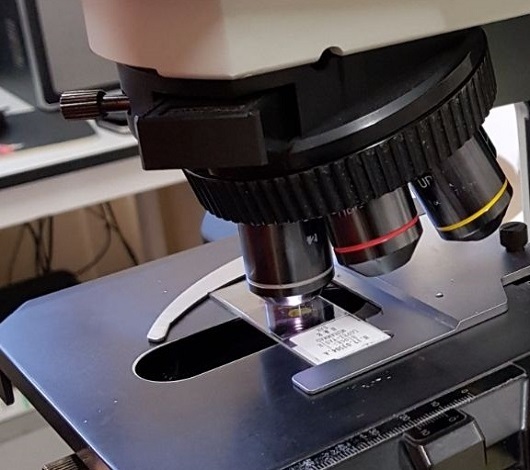 The Association runs an interpretative Paediatric Histopathology External Quality Assurance (EQA) Scheme which is overseen by the National Quality Assurance Advisory Panel (NQAAP) and the Royal College of Pathologists' Histopathology and Cytopathology Interpretative EQA Steering Committee. Paediatric and Perinatal Pathology is specialist discipline of Histopathology (Cellular or Tissue Pathology). It is broadly divided in to two sub-disciplines: Paediatric Surgical Pathology and Perinatal Pathology. Paediatric Surgical Pathology entails the examination of tissue samples taken from living babies, infants, children and adolescents at biopsy or operation The type of tissues and reason for examination are varied but include biopsies of skin lesions and tumours to diagnose the type of lesion; biopsies of the kidney or lining of the gut to diagnose and monitor chronic conditions and examination of tissue removed at emergency operations. The information gained from the examination of these tissues is communicated with the doctors caring for the child and helps guide their management plan, advice and choices they give to the child and their family. Perinatal Pathology is the examination of foetuses, babies and infants after death. This includes foetuses and babies who have died before birth, those when the pregnancy has been ended because structural anomalies (differences) have been found on scans, spontaneous miscarriages (deliveries before the baby is sufficiently developed to survive), and deaths during or shortly after birth or in the first year of life. Perinatal pathologists also often examine older children who have died and also placentas from babies where there have been pregnancy complications. In all of these situations the aim is to provide explanations and information for families to reduce the chance of them losing another baby or child, help them understand what has happened and assist the doctors looking after them. Here you will find information on upcoming meetings and events from not only BRIPPA & EQA, but also from other organisations across the World. The next BRIPPA Annual Meeting will be at Birmingham Women’s Hospital on Tuesday April 2nd 2019. The PPS Annual Meeting will be a joint meeting between the SPP and will be held in Pittsburgh, USA, from 17th to 19th October 2019. The SPP Fall meeting will be a joint meeting with the PPS and will be held in Pittsburgh, USA, from 17th to 19th October 2019. For information on MBRRACE-UK upcoming events please follow the link. For information on events at the Royal College of pathologists please follow the link. BRIPPA is a registered charity (SC005836). It is funded by annual subscription from the full members. Membership is free for trainee paediatric pathologists.